278 complainants in front of Mandalay Ajaydeep Singh, who arrived in the entire Solution Day organized on Tuesday in Tehsil Sadar, complained. From that the Mandlaktam had disposed of 9 on the spot. 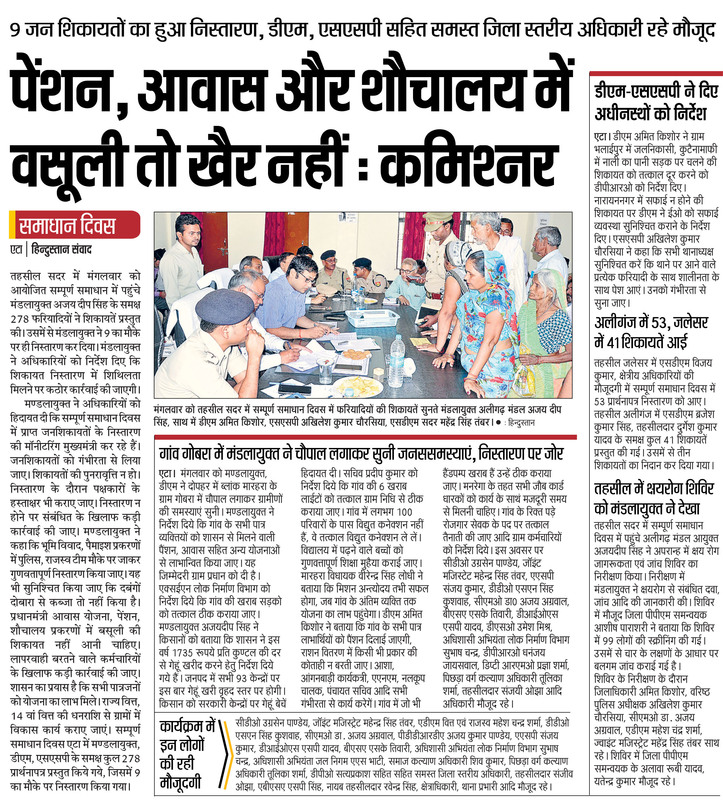 The Mandalak directed the officers that strict action would be taken if the grievance redressal was found.